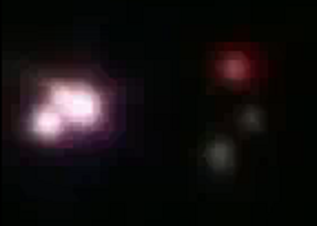 Latest UFO sightings – Strange crafts recorded over New Jersey this Friday, 26th March 2010. 8-9:30 pm 1 st – craft that LOOKS like a plane shoots out a red , twin white then red orb ( the orb CHANGES ! color and shape ! 2 nd – This craft flies by a white orb ? 3 rd – what the hell is it ? Where is the tail light ? it maybe cuz the government made an agreement with the greys to give them airspace and airspace landings on earth in exchange for advanced technology…those greedy illuminatis are behind all evil greed for power, money, etc….in this world and they will soon be out of power when they arrive…. Who knows what this world had become ? Whatever happens , we all deserve it . . Taking life for granted .. &amp; We will all have to pay the price for others ..